A GLADSTONE family has come up with a 'sweet' plan to help shelter homeless Cambodian families - doughnuts. Mum and organiser Holly Duckham said her daughter Tatum Rigby and her mother Linda Duckham are raising money to go to Cambodia. They plan to help build a village by selling Krispy Kreme doughnuts. Ms Duckham said it was the second year her daughter and mother had taken on the challenge. Last year they successfully offloaded hundreds of doughnuts to Gladstone residents. The Krispy Kreme doughnuts, which Ms Duckham said were 'rare commodities' in Central Queensland, are packed in boxes in Brisbane and flown to Rockhampton airport where she collects them to bring back to Gladstone. "We just kicked-off this year's fundraiser yesterday and already I've got 16 orders for a dozen doughnuts," Ms Duckham said. "It all started when my mum Linda found out about the charity Cows for Cambodia and was inspired to get involved. "My daughter Tatum wanted to help too and I think they really love doing something like this together. 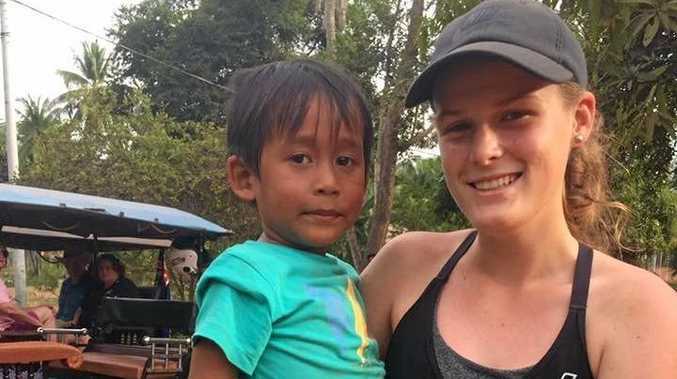 "Last year my mother funded the trip with her super but this year Tatum, who is only 16, is raising the money and paying for the flights and accommodation, which is about $7000. "They do need help in selling the doughnuts to get to their donation goal of $2000." Ms Duckham said the pair would embark on their mission in November but preparations were in full swing. To order doughnuts, send Holly Duckham a message on Facebook.